Many of these 11 individuals are associated with The Times and the Guardian in the UK and the Atlantic Council in the US. 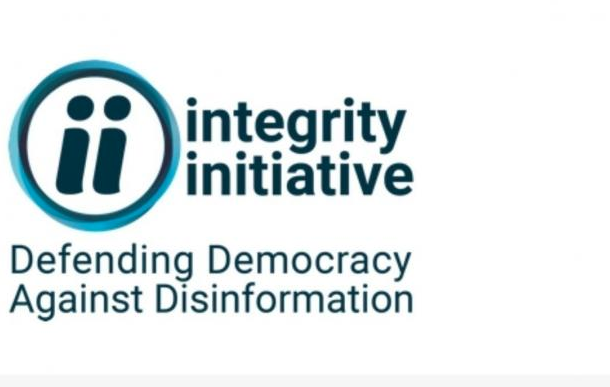 The research does not show, however, that these tweets are associated with the Integrity Initiative (see further below). “It’s not just Corbyn. Here’s Swedish leftie @AsaLinderborg explaining why Nato not Putin is the real threat to peace” – linking to the latter’s article in a Swedish newspaper[xiii]. “More excellent stuff on Corbyn’s love of plutocrats so long as they are Russian”[xv]. Washington Post columnist Anne Applebaum has tweeted that Corbyn is a “useful idiot” of Russia[xxi], of a “precise echo of Kremlin propaganda from Corbyn”[xxii], that “Surprise! Russia sides with Corbyn against Cameron”[xxiii] and that “Jeremy Corbyn isn’t anti-war. He’s just anti-West”[xxiv]. “How Putin’s @RT_com is backing Jeremy Corbyn – my piece in @dailybeast”[xxxi]. James Ball has tweeted a link to his own article in the New Statesman saying that Corbyn is “playing into Russia’s hands on the Skripal poisoning”[xlii] and accusing Corbyn to the effect that he “took money from Russia Today”[xliii]. Carole Cadwalladr has also sought to overtly link Assange to the Kremlin. She has tweeted that “Assange & Milne… are both Russian propaganda tools”[l], that Assange is a “special friend” of Russian intelligence[li] and that Wikileaks has “colluded with…the Kremlin”[lii]. In addition, Cadwalladr has tweeted several times that “Assange was in direct communication with Russian intelligence in 2016”[liii] and that “Wikileaks sought assistance from Russian intelligence officers to disrupt the US presidential election”[liv]. Cadwalladr is here claiming that Wikileaks knowingly colluded with Russian intelligence by releasing the files on the Democratic Party in 2016: in fact, this is not known or proven at all, while numerous media outlets also published or had contacts with Guccifer 2.0 and DCLeaks in 2016 – though do not figure as targets in her attacks. Mark Curtis is an author and consultant. He is a former Research Fellow at the Royal Institute of International Affairs (Chatham House) and has been an Honorary Research Fellow at the University of Strathclyde and Visiting Research Fellow at the Institut Francais des Relations Internationales, Paris and the Deutsche Gesellschaft fur Auswartige Politik, Bonn. Mark has written six books on British foreign policies and international development.